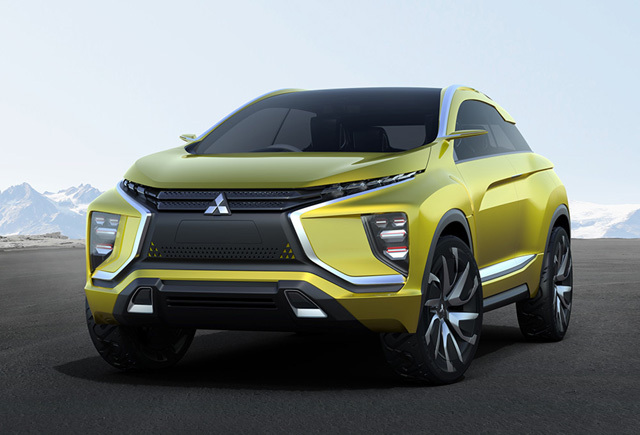 Back at the Tokyo Auto Show, Mitsubishi released the eX concept. This was happening at the end of 2015. Later down the road they showcased the same car at Geneva and later at the LA Auto Show. This pretty much confirms the fact that Mitsubishi is set on electric cars and they might just pull it off if they manage to offer a great overall package for the price. 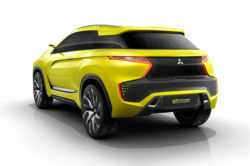 The Mitsubishi eX concept is not a unique car. 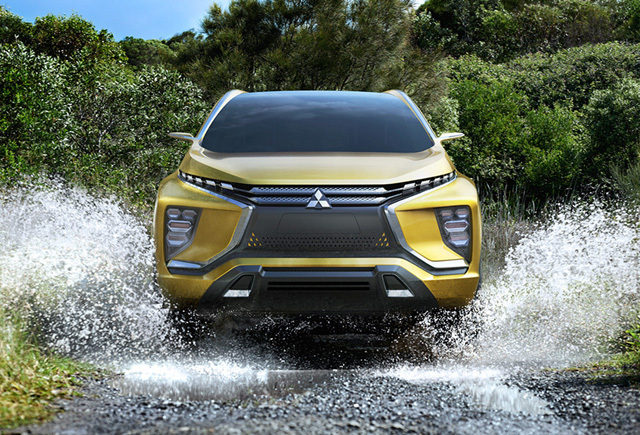 It is a fully electric crossover which has the ground clearance of a sports car. 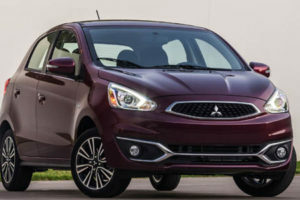 It is pretty much Mitsubishi’s alternative to the Chevy Bolt. So far not much information was released about the specifics of the car but their CEO did say that electric cars are in their future. 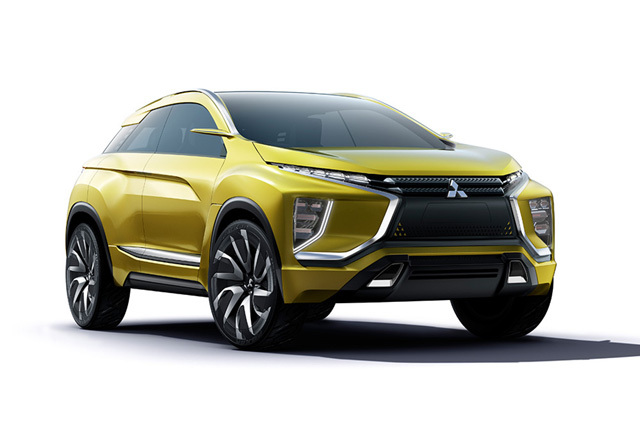 This may not mean that they will only build electric cars but it certainly means that electric cars will be a big part of Mitsubishi. So far the concept remains just a concept but things may change. There have been some rumors suggesting that the car will also be showcased in Detroit in a few weeks. Unlike so far though, the car would receive a new name and possibly more details about what will actually power the production model. 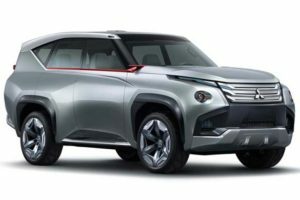 The car is expected to hit the market sometime in the late 2020 but the price is still unknown. Most rumors suggest that it will cost around $35,000 which is also most of its rivals are. The Mitsubishi eX concept is based on a proprietary platform which is unknown at this point. The car is more than likely using a new platform in order to house all those batteries. Some suggested that it has its batteries in the front but this would put just too much stress on the front wheels. Instead, we are quite sure they are going with a skate-like chassis, similar to what Tesla does with their cars. This allows for a low center of gravity and great crash protection while also keeping the weight off the front axle. 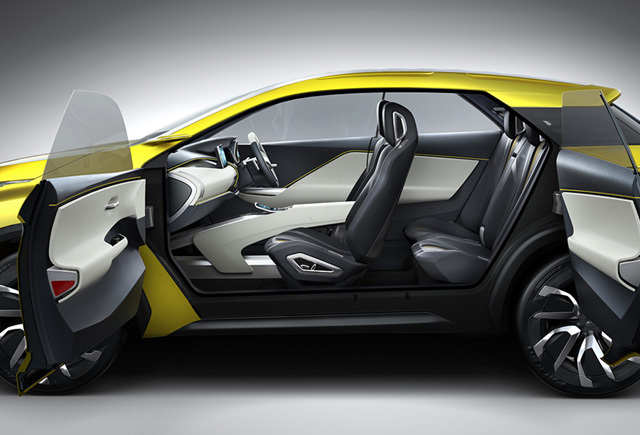 The concept of the eX features a set of two electric motors which offer a total combined output of 140 kW. Each of these power one of the two axles for an all wheel drive system. 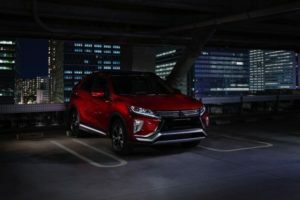 Mitsubishi said that the car can control each wheel independently so it is safe to assume it also features two gearboxes as well as electronic differentials. 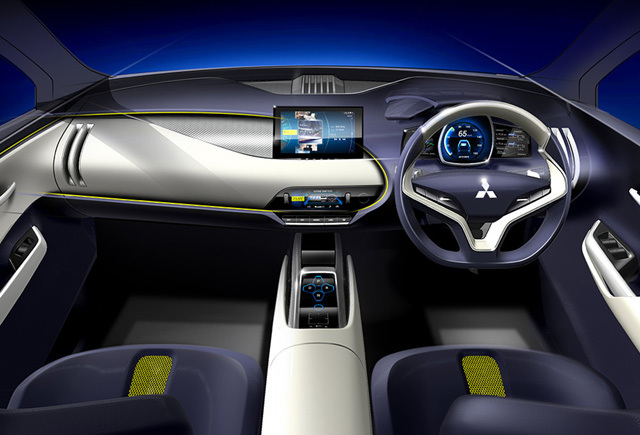 On top of that, the car is expected to offered an automated driving mode, but more on that later. The two electric motors should give it sufficient performance for its class. The only real unknown factor for now is the battery. Tesla offers a massive 100 kWh battery-pack which doesn’t even give 300 miles of range. 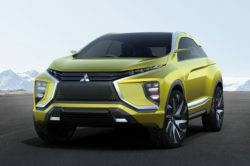 The Mitsubishi eX concept is said to feature a range of around 250 miles which is a lot by electric car’s standards. However, they didn’t disclose the size of the battery. 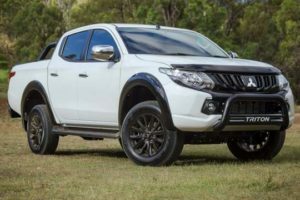 Considering the price and the output of its electric motors, it is safe to assume that the battery is somewhere in the range of 65 to 70 kWh which is still substantial, especially for a car that will cost around $35,000. There is still no word on the actual performance but expect it to be similar to Tesla’s Model 3 and the Chevy Bolt. Well, some people did not like the way it looks but it is a definitive improvement over their other current cars. 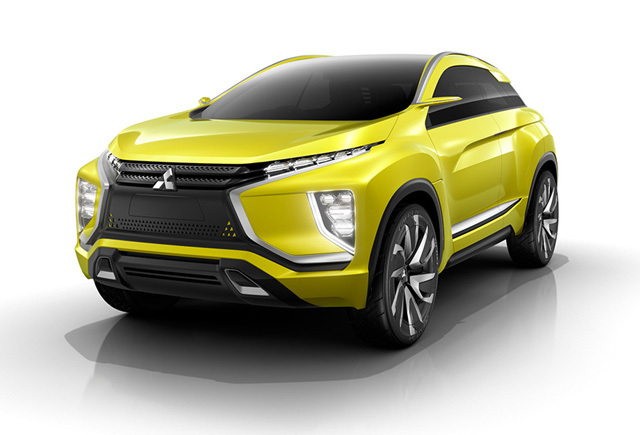 The Mitsubishi eX concept features an all new front end design which may be used on all of their future models. The car has really slim LED headlights with five clusters each. 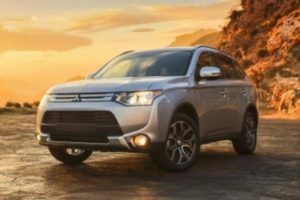 The fog-lamps are vertical and the grille extends towards the lower part of the bumper with a black insert. The car, despite being a four door crossover, features blacked out C and D-pillars as well as short overhangs which make for a sporty look. In fact we could say that the roof looks a bit too much like a Mini Coupe but this will likely be changed for the production version of the car. 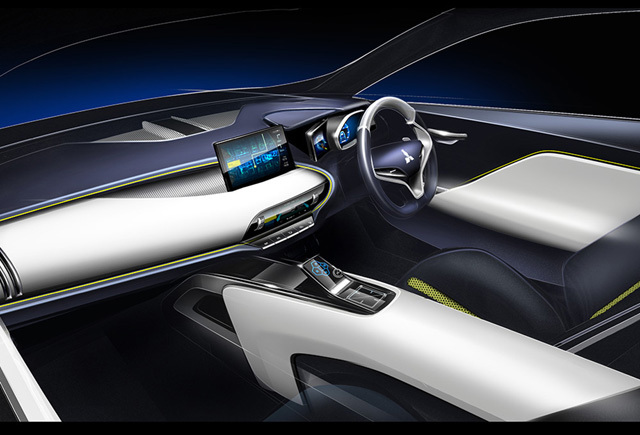 The interior is just a concept at this point but we can see some design lines that may be used on the production model. 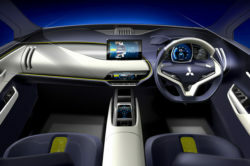 No matter what the case may be, we are sure that Mitsubishi will offer mostly digital controls for the car’s functions.